Mix together all ingredients except the coconut flakes. Once combined, mix in coconut flakes. Pour batter into a 9×13 greased pan. Bake at 350 degrees for 55 minutes. 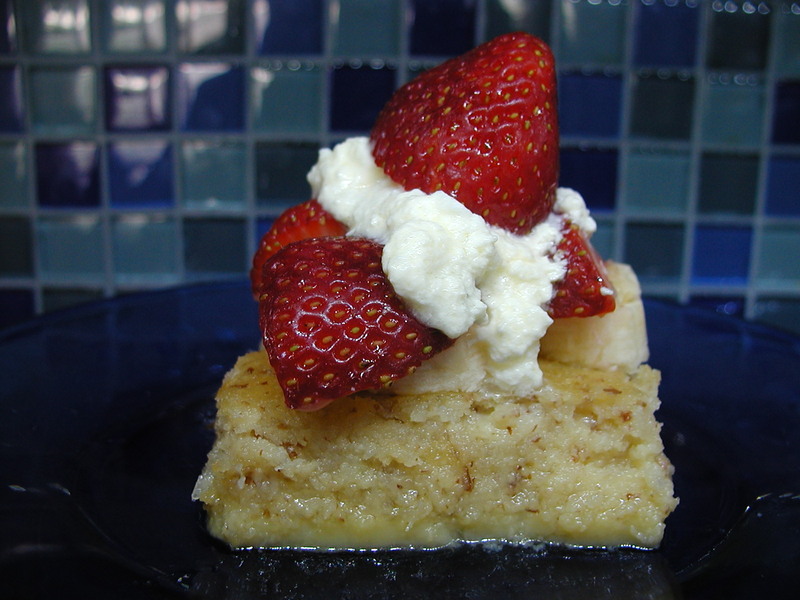 Top with fruit and homemade sour cream. Enjoy!